The raw material of this 100g small tea cake was picked in early Spring time of 2013 and was made into this tea cake by 2015 after 2 years natural aging. 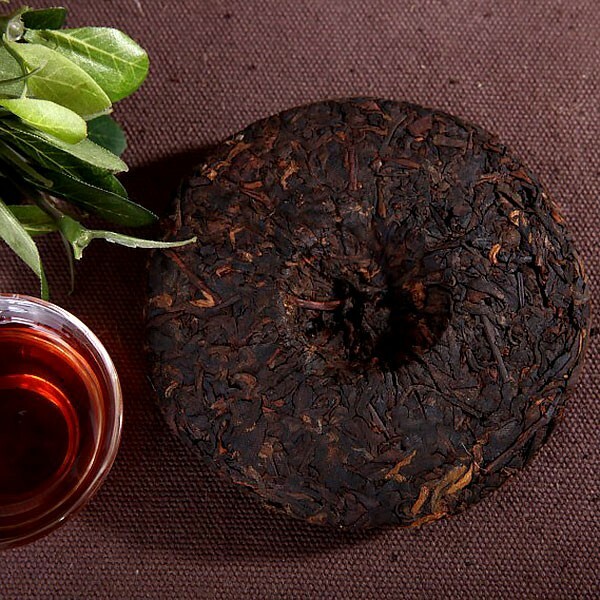 So we only process a light fermentation to make this tea cake more close to naturally fermented raw pu-erh tea. This is a highly recommend entry-level cooked pu-erh for new pu-erh tea drinkers. 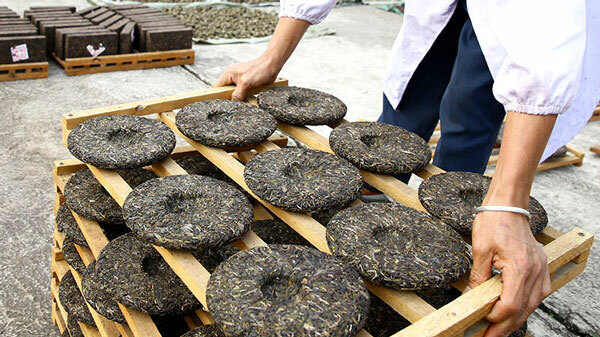 This tea cake is made of tea leaves that harvest from the artificial ecosystem tea garden-cultivated tea bushes, from the cuttings of wild tea trees and planted in high altitudes tea garden. The raw material of this tea was picked in early Spring time of 2013 and was made into this tea cake by 2015 after 2 years natural aging. The previous storage already gives the tea leaves a decent time for being naturally fermented. 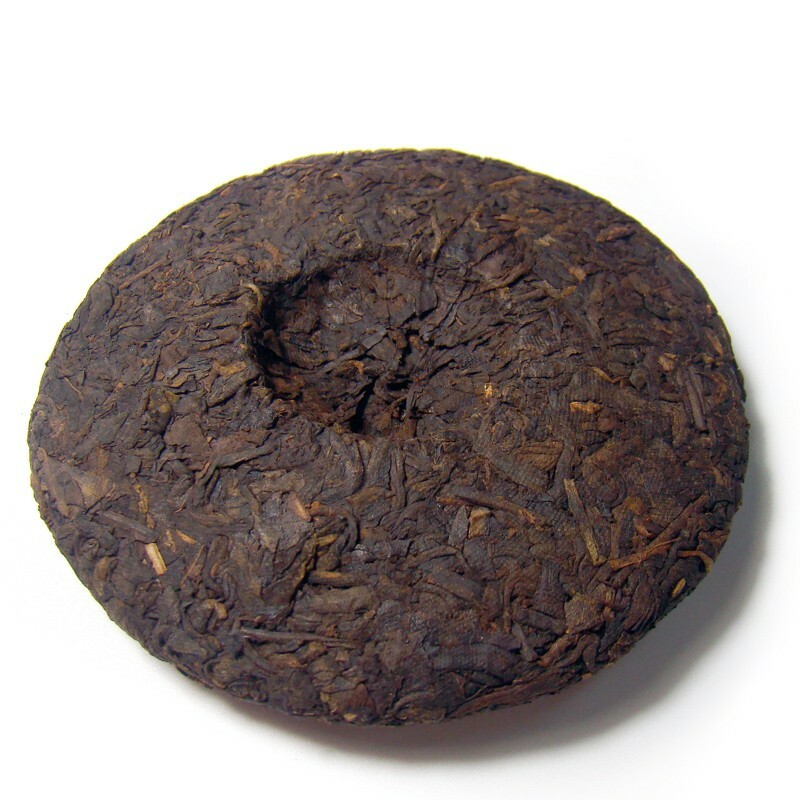 So we only process a light fermentation to make this tea cake more close to naturally fermented raw pu-erh tea. 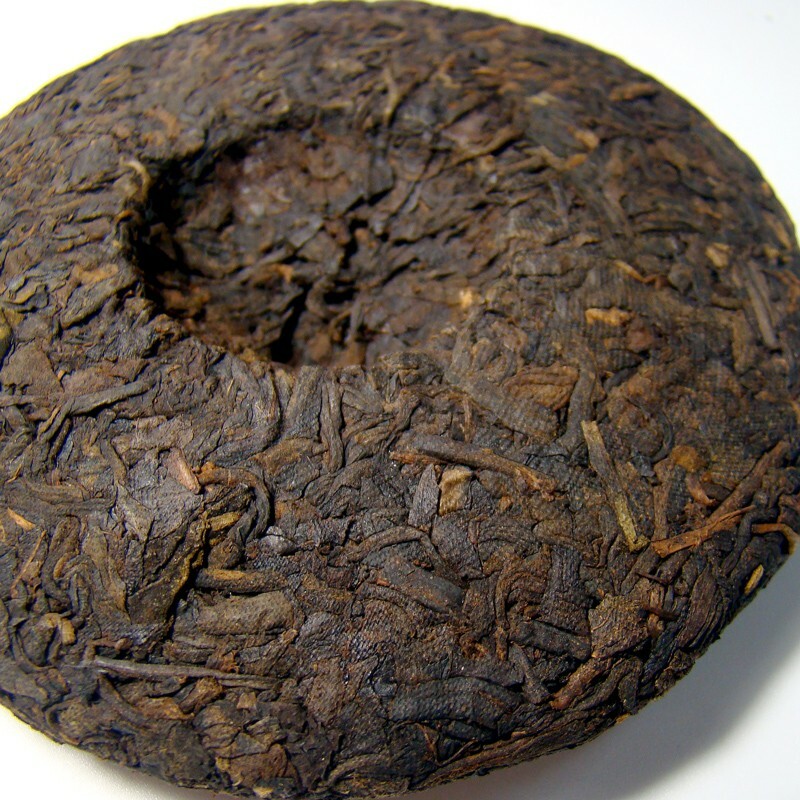 The raw material of this tea cake is a blending of 4th to 6th grade leaves. After the pile-fermentation, the silver buds turned into gold while the greenish dark leaves turned into a reddish brown color. 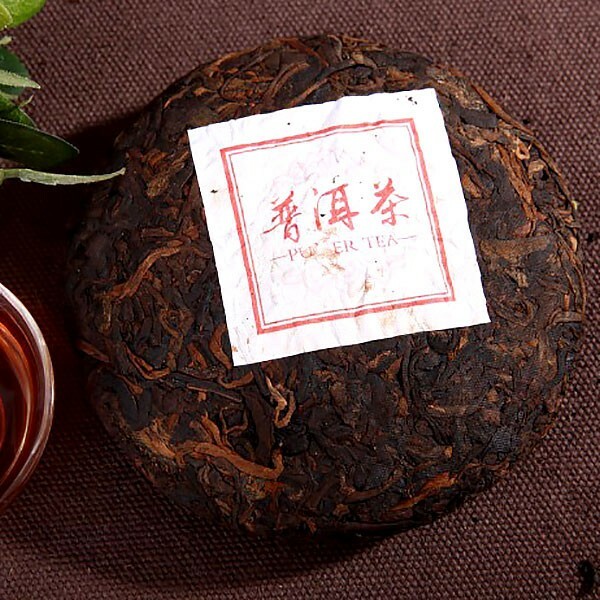 It has a clean, earthy aroma of the classic ripe pu-erh tea while slightly retains a bit refreshing raw pu-erh scent. The tea liquor after a 10 secs brewing is in bright amber color. It tastes mildly sweet with a clear earthy note. The mouth-feel is very smooth and soft. This is a highly recommend entry-level cooked pu-erh for new pu-erh tea drinkers. *TIPS* Blending some herbal/flower (such as rose, osmanthus, peach flower, apple flower etc.) could enhance the primary taste. The fragrance of flowers is a perfect match with the earthy aroma of the ripe pu-erh tea. 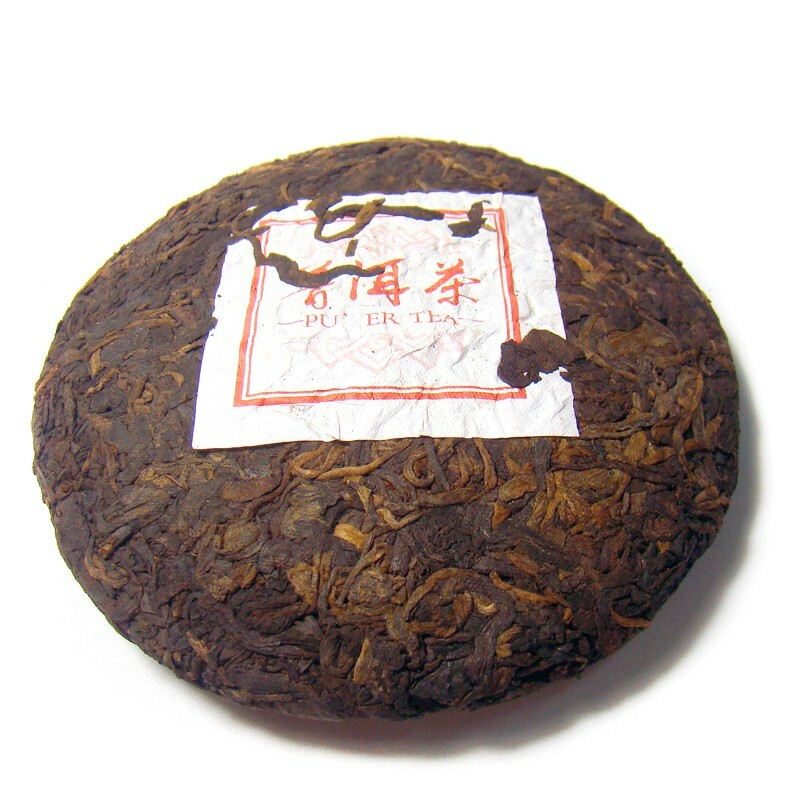 Ripe or cooked pu-erh (shu, shou pu'erh in Chinese), refers to an artificially aged version of pu-erh tea that a fermentation process called wòdūi (渥堆, "wet piling" in English) is developed prior to steam and compress the loose pu-erh tea leaves into pu-erh tea cakes, bricks or other shapes. 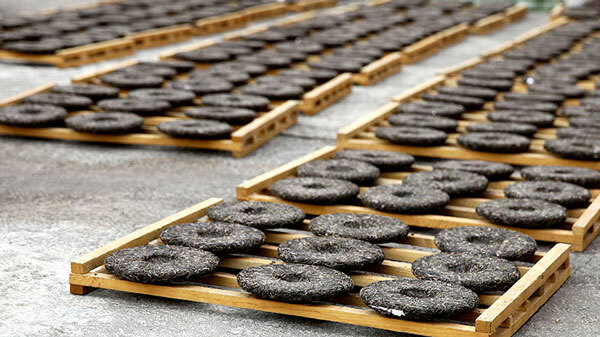 This piling process used to convert the raw pu-erh tea material into ripened pu-erh. This is a recent invention(developed in 1973 by the Government Operated Kunming Tea Factory) to imitate the flavor and color of aged raw pu-erh by prolonged bacterial and fungal fermentation in a warm humid environment. 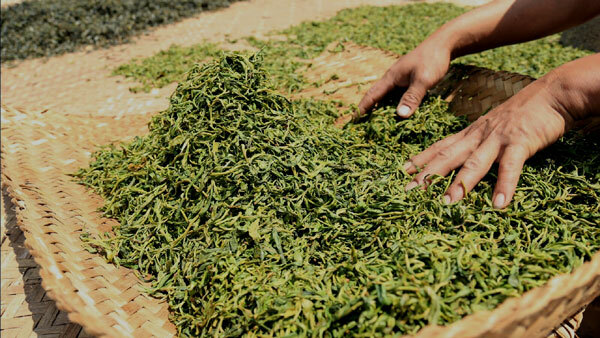 The whole process normally takes 40 to 60 days, includes: piling, wetting, and mixing/turning of the piled raw tea leaves to ensure an even fermentation. 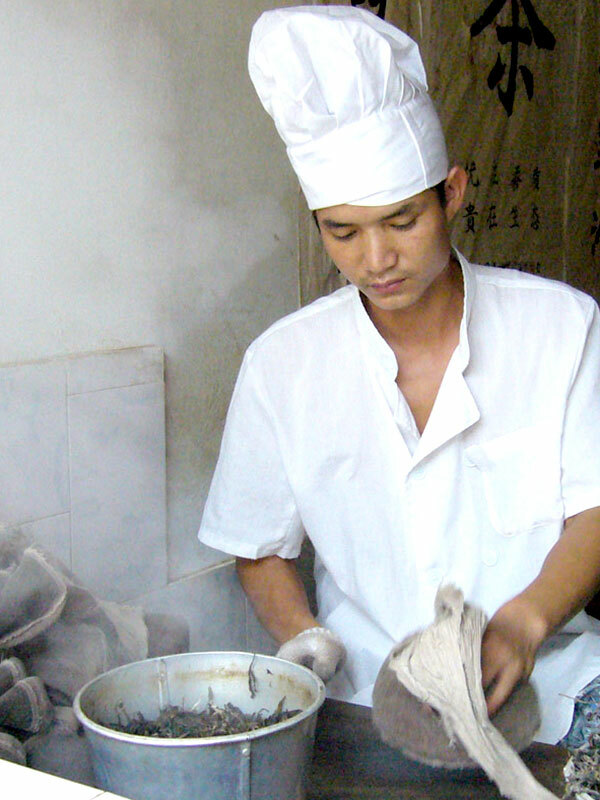 Unlike raw/uncooked pu-erh, which needs to be proper stored, aged and naturally fermented to get rid of the bitter and astringent mouthfeel. 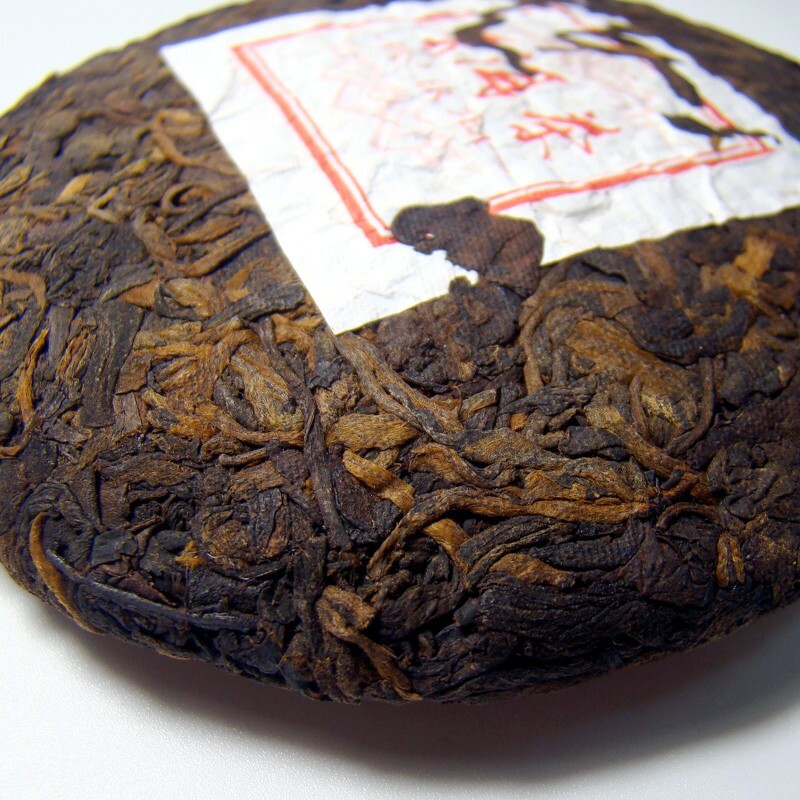 The ripe/cooked pu'erh could be consumed right away without further aging. 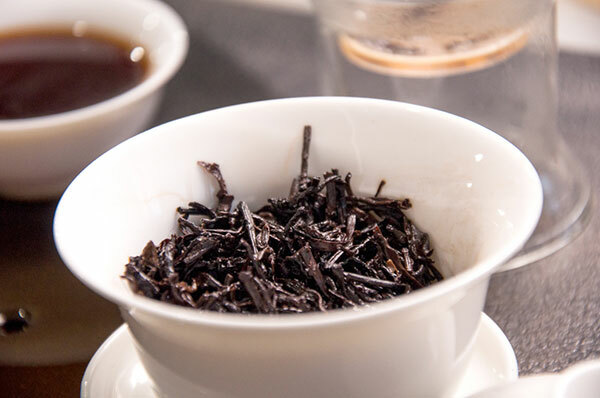 A well cooked pu-erh has a gentel nature, which could be easily steeped and gives a full-bodied, wine-coloured tea liquor, classic earthy pu-erh flavor and a mellow mouth-feel. 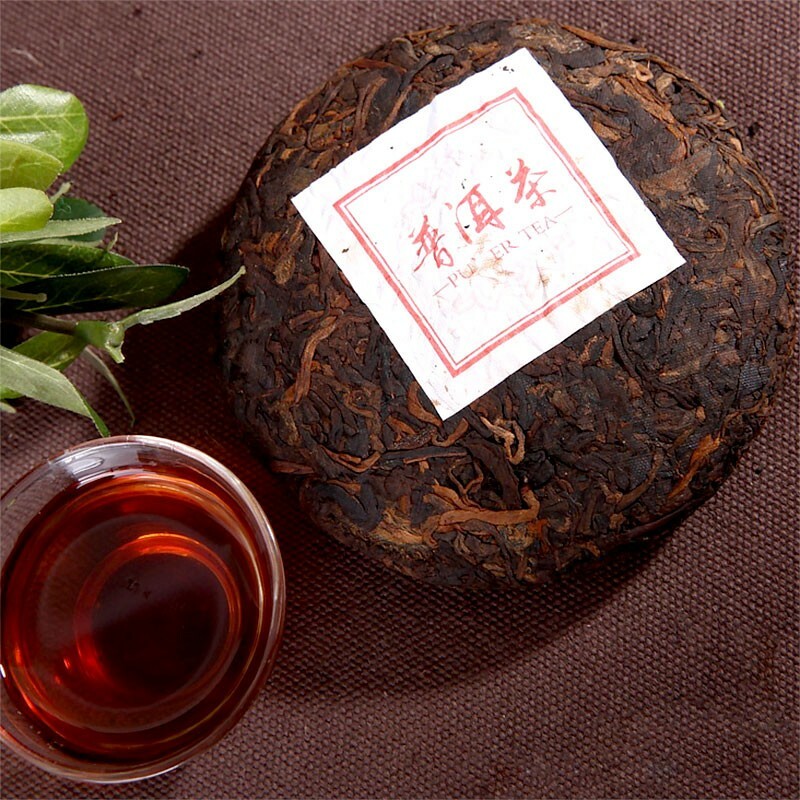 The other advantages of ripe/cooked pu-erh tea includes: minor irritation to stomach, zero-impact on sleep, low caffeine, while retains the cleansing, relaxing and calming effects. Please check here for more pu-erh tea benefits. Ripe pu-erh tea is a perfect bedtime slimming tea and a very good choice for pu-erh tea beginners. Our pu-erh tea co-production manufacturer---Pu-erh Zhiwei Tea Factory formerly Ning Er County Xinglong Tea Factory that founded in 2004. Pu-erh Zhiwei Tea Factory locates in MinAn Village, the Ning Erh Hani&Yi nationality autonomous county of Yunnan Province. 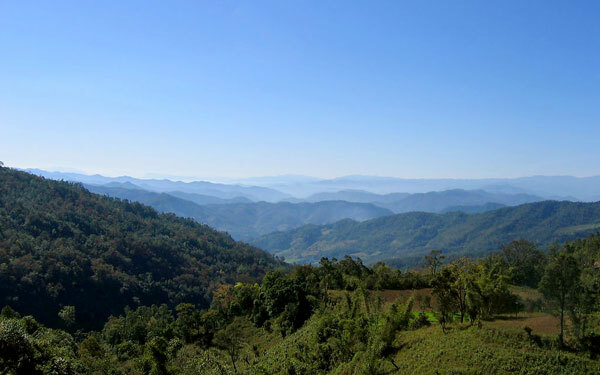 Ning Erh County was the ancient Pu Erh Prefecture. It is the center of the Ancient Tea Horse Road. The birthplace of pu-erh tea. 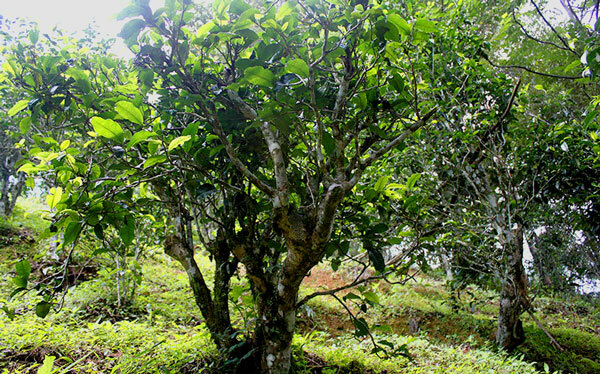 Pu-erh Zhiwei Tea Factory owns two major organic pollution-free tea base that locate in Ning Erh Xishitou Datian Mountain area and Kunlu Mountain area. Which includes: over 7 hektare ancient tea plantation that the average age of the tea trees is over 300 years old; over 54 hektare wild large-leaf arbor tea plantation; over 27 hektare artificial ecosystem tea garden. The average elevation of the tea growing area is above 1700 meters. These mountain areas has abundant rainfall and strong sunlight, which is perfectly suited for growing the large-leaf ancient tea trees. We also purchased our own premium raw tea material from local tea farmers of nearby tea growing areas---Mengku, Lincang etc. These batches picked from older plants or from wild tea trees that grow in untraversed deep mountains and forests. We take full advantage of these precious raw tea material and commissioned high-end pu-erh tea that not only specially tasty but also collectible and worth for long-term storage. 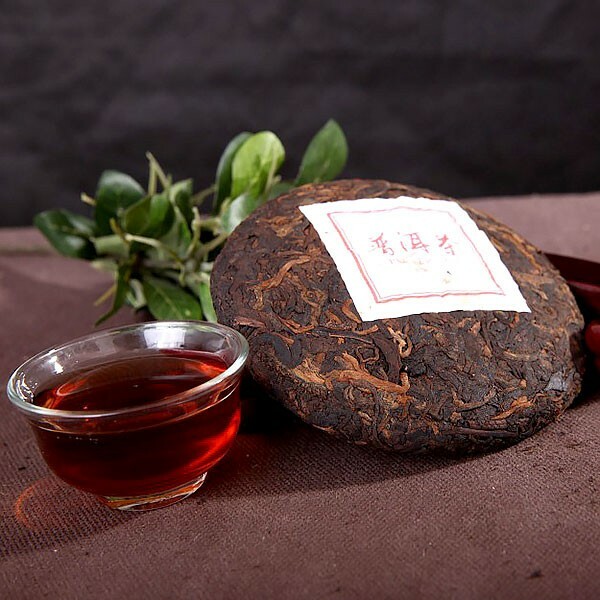 The classic pu-erh tea cake blending recipes that developed by Pu-erh Zhiwei Tea Factory have obtained lots of awards worldwide. 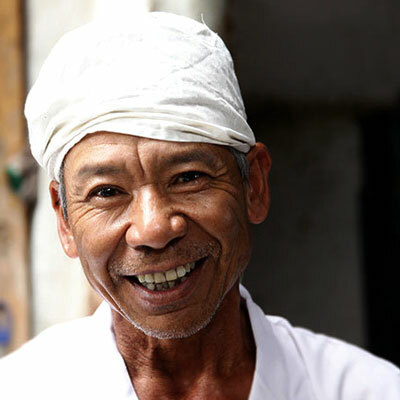 The most experienced tea master of the tea factory has engaged in tea producing for over 40 years. 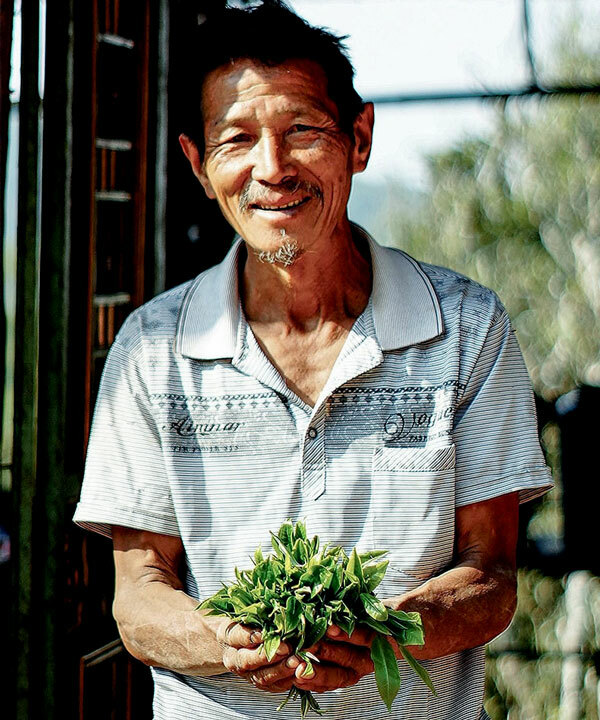 Most of the tea makers here have a familial background of tea planting and manufacturing. Our tea masters know pu-erh tea and they clearly understand the making of pu-erh tea requires rather elaborate and complicated processes. 1、The tea leaves are hand-picked and carried with bamboo baskets-to make sure the tea leaves, buds are intact and not hurt in the course of carriage. 3、Fresh leaves withering. or cutting, fermentation, drying, before. 4、Manual fixing(water removing)- optimum control the temperature to protect the tea leaves. 5、Traditional natural airing-with thickness under 3CM. 6、Hand rolling by experienced tea makers-continuous and balanced to make sure the tea strip uniform and tidy. 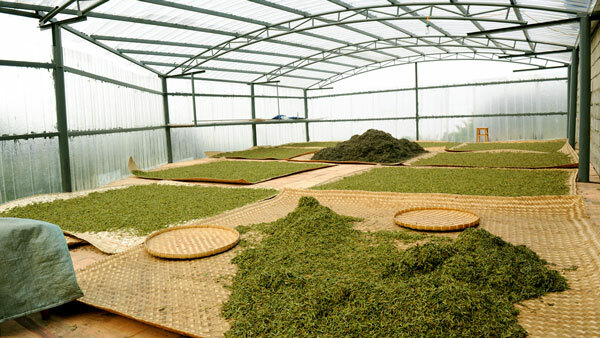 7、Naturally sun dried- to preserve the original and traditional flavor of the tea leaves. 8、Electrostatic separation and precipitation-to remove dust and other impurity. 9、Manual sorting and screening-to remove stalks, over withered and burnt leaves. 11、Moisture removal in mesh bags. 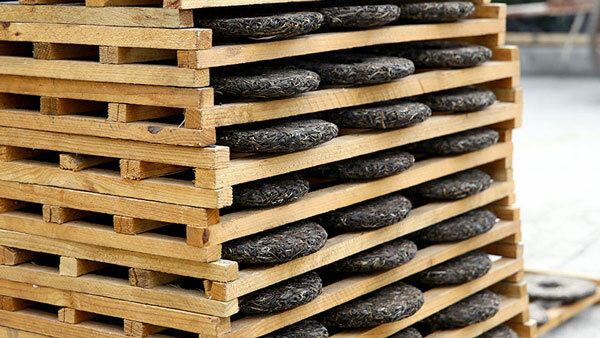 12、Sun drying on shelves and completely removing moisture from the tea cakes. 13、Finishing and packing after the tea cakes dried and cooled. 14、Store in well-ventilated dry room with constant temperature. Keep the tea cakes natural fermented and aged. 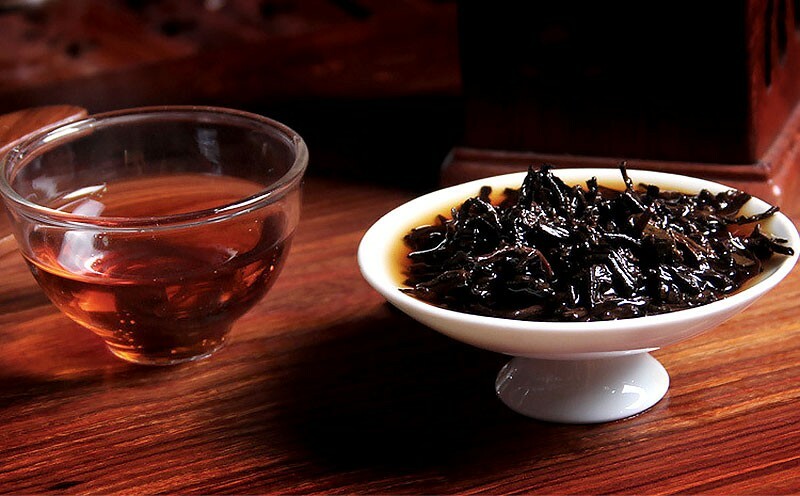 Pu-erh Zhiwei Tea Factory has set up an independent product testing laboratory for basic testing and quality control. 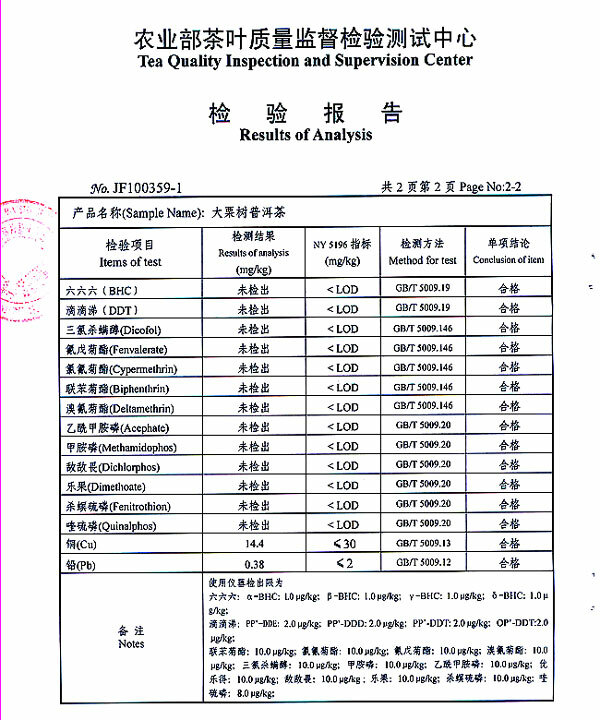 Meanwhile, all our pu-erh tea has passed the examinations of the national and provincial authoritative organizations. Artificial ecosystem tea garden locates in Kunlu Mountain Area of MinAn Village, the Ning Erh Hani&Yi nationality autonomous county of Yunnan Province. Blended with 4th~6th grade raw material. The tea liquor after a 10 secs brewing is in bright amber color. It tastes mildly sweet with a clear earthy note. The mouth-feel is very smooth and soft. Try steeping the first 3 infusions within 10 seconds, gradually extend the steeping time once you feel the liquor fade out. Keep this a in a bamboo/straw basket or breathable containers. Stay away from direct sun light, moistur and odours. 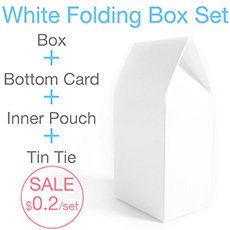 100g/pc; 7pcs/stack; 30 stacks toally 210pcs per carton. G.w. : 25kgs/ctn.